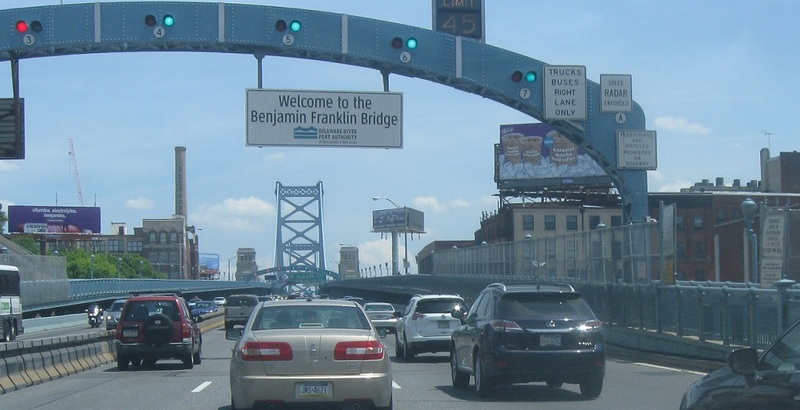 Just after the I-95 junction we’ll head up the Ben Franklin Bridge. 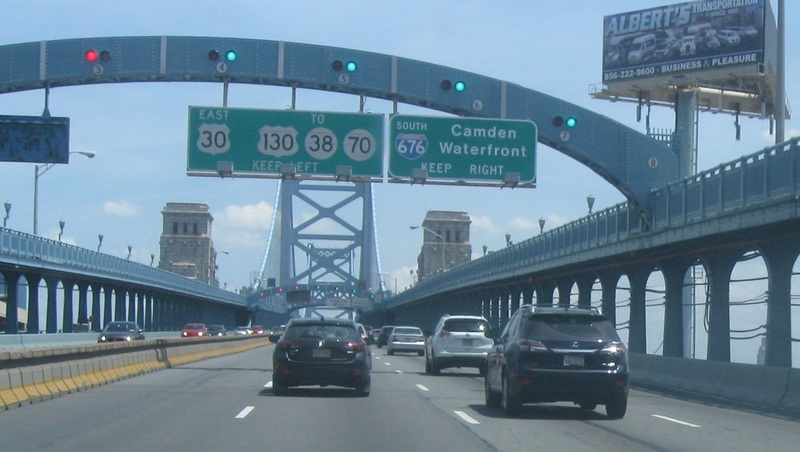 As soon as we enter New Jersey, US 30 and I-676 will split, with 30 heading to US 130 and Routes 38/70. 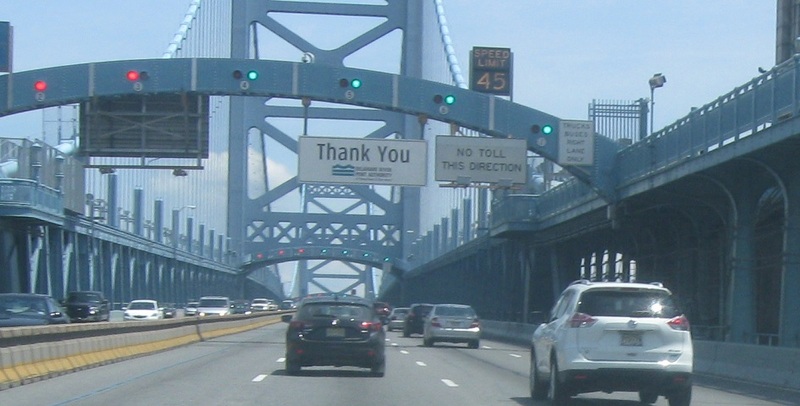 There is no toll on the eastbound bridge.